He was jumping with excitement and wanted to go to the shooting range right away to start shooting, before the night of the competition. He just needed a medal of his own. With an extreme excitement, Jitu Rai said this to a leading national daily, after winning the gold medal in the Commonwealth Games 2014. Success can be attributed only to hard work and dedication. The driving force behind these two elements may be the difference here. 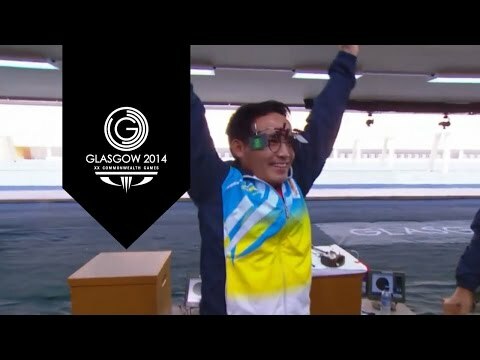 During the Commonwealth Games 2014, the amazing story of Jitu Rai came to light. The nation’s hero has an inspiring tale to narrate that began with failures. The no. 1 air pistol shooter sent back twice from the AMU (Army Marksmanship Unit) at Mhow, for his poor performance. Jitu Rai joined the Indian Army’s 11th Gorkha Regiment in 2006 and was handed a riffle there. He could not learn there well and so was sent back in 2007, a year after joining the army. He returned in 2008, but then again was sent back due to non-performance, after just a year. But he did not give up and started practising and training and finally made himself ready for the national events. Jitu Rai bagged the gold medal in the Commonwealth Games recently concluded in Glasgow. In the event, Jitu participated in the 50 metre air pistol shooting and created a history by tallying a score of 562 out of 600 in the qualifying round. 2014 has been proved as the breakthrough year for this shooter. The marksman won three medals at the International Shooting Sport Federation (ISSF) world cup editions in Munich and Slovenia. He won the silver medal in the 10 metre air pistol event and scored 199.4 points in the final. Jitu Rai won two other medals in Maribor, Slovenia; a silver in the 50 metre pistol event and a gold in the 10 metre air pistol event. Following his heroics in 2014 world cup, he became the number 1 player in the world in 10 metre air pistol and number 4 in 50 metre pistol event. Jitu Rai is supported by Olympic Gold Quest (OGQ), a non-profit sports organization which supports Indian athletes to compete at the world level. The shooter is now looking forward to the World Championship, to be held in Granada, Spain from September 6.